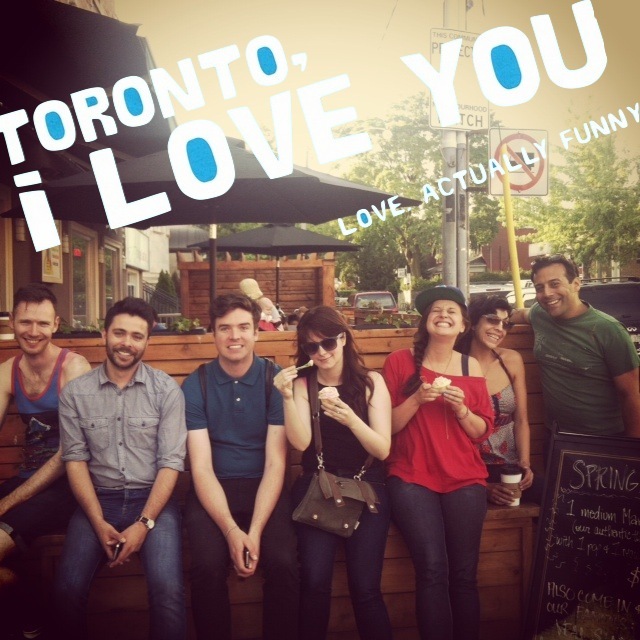 Featuring a 12-person cast of award-winning Canadian improvisers, Toronto, I Love You uses audience suggestions and the inspiration of classic romantic comedy formats to create an entirely original and hilarious rom-com all about Toronto! Every Friday in August the Bad Dog Repertory Players will bring you a new romantic comedy based on the stories our beloved city. The CCA nominated Repertory Players have created an entirely new format based on classic romantic comedies like Love Actually, Paris Je t'aime, and anything with Tom Hanks and Meg Ryan. Directed by celebrated Toronto based comedian Kirsten Rasmussen, Toronto, I love you will focus on a new neighbourhood in Toronto each week. Bringing to life the amazing characters and hilarious encounters that can only happen on the streets of Toronto. Coming this August to a Comedy Bar near you!